WASHINGTON – Arizona ranked sixth in a new national report on the quality of after-school programs, with the state’s score driven by the large number of poor kids enrolled and by relatively high parental satisfaction. The Afterschool Alliance’s “America After 3PM” looked at how children spend their hours after school and before parents come home from work, focusing on participation, public support and benefits associated with after-school programs. 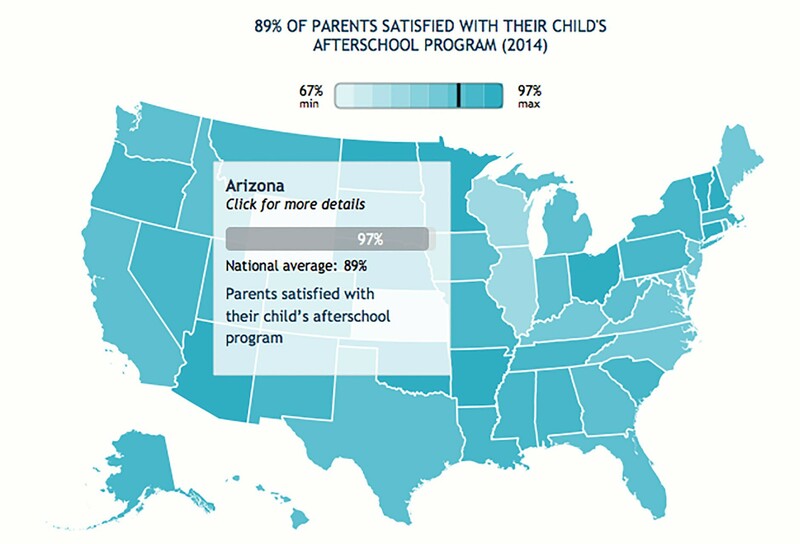 In Arizona, 97 percent of parents said they were satisfied with their child’s after-school program, compared to 89 percent nationally, and low-income children in the state accounted for 53 percent of participants. Nationally, the number was 45 percent, according to the report. Kathleen McKeever, director of academic support at Washington Elementary School District, said that after-school in Arizona is a “whole world” now. While the state has shown improvement in its after-school programs over the years, advocates in the state still see areas that need work. Only 16 percent of Arizona students were enrolled in an after-school program in 2014, compared to 18 percent nationally. Nineteen percent of Arizona children have no adult supervision in the afternoons, just below the national rate of 20 percent. But Nikki Yamashiro, director of research at the Afterschool Alliance, said Arizona “really did well” in parent satisfaction as well as serving low-income children in after school programs. The federal 21st Century Community Learning Centers grant, which supports after-school academic enrichment and youth development, has been a “major player” in Arizona’s success, McKeever said, especially for children in low-income areas. Molly Kemp, 21st Century Community Learning Centers grant coordinator at Paradise Valley Unified School District, said that parent satisfaction with the state’s after-school programs can be attributed to the reputation that has been built over the years. Kemp said children who participate in after-school programs benefit from youth development, leadership skills and academic enrichment. If more scholarships were available for parents, McKeever said, more parents might be willing to put their kids in after-school programs. Kemp agreed the programs could always use more funding, but noted that the state already faces challenges in funding education during the school day. Without more funding, though, she said the programs will not flourish. Yamashiro said that increasing local, state and federal funding is a great way for states to increase investments and build up their after-school programs. And it can help level the playing field for kids, she said. In the Washington Elementary School District, which covers north-central Phoenix and east Glendale, McKeever said most schools have at least 40 percent of students qualifying for free or reduced-price lunches. Students at the Arizona State University Preparatory Academy in Phoenix take part in the Healthy Kidas after-school program in 2013. 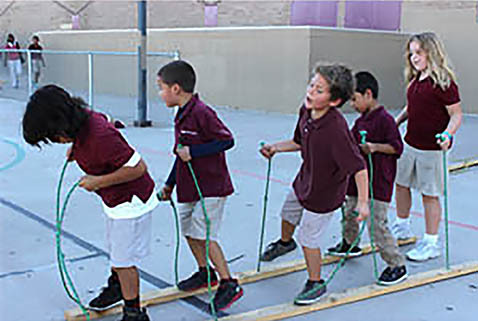 Arizona was sixth in a new report on states' after-school programs. 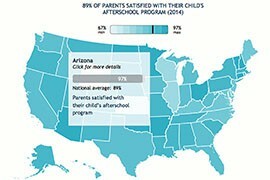 One factor behind Arizona's success was parental approval: 97 percent of parents said they were satisfied with its programs.